We still don't know what exactly motivated a young woman to get out of her family's car in the middle of the Badaling Wildlife Park. There are stories that it was a family quarrel with her husband, with her mother in the car. Now the mother is dead, mauled by tigers after trying to save her daughter, and the daughter in hospital with severe injuries. It's tempting to put all the blame on the family. After all, who gets out of a car and turns their back on a bunch of territorial tigers? Many people online called the tragedy an example of Darwinism in action. The family is claiming there was inadequate signage and attempting to blame the zoo, but it looks as though the warnings were clear. Yet Chinese friends of mine suggested another possibility. "Sure, there were signs up everywhere telling them not to get out of the car," one said, "But we're so used to seeing people breaking the rules - smoking in front of no-smoking signs, ignoring traffic warnings - that maybe she just didn't think the warnings had to be taken seriously." In a society where it's taken for granted that you can get away with bending a lot of rules, people lose the vital distinction between the general instruction and the immediate threat. A warning sign that tells you that waves are high, rocks are deadly, or tigers may haul you away if you get out of the car ends up being treated with no more weight than an instruction not to smoke in a restaurant. That doesn't mean the park should escape blame, however, though we obviously need to wait on a full investigation before allocating blame. This is the fourth death at the park in the last seven years, including two employees. That's a worrying sign. Zoo deaths happen even in the best-run facilities; animals are powerful, unpredictable creatures - like the tiger, Tatiana, that escaped her pit and killed one person in San Francisco in 2009, before being shot herself. Yet in well-run zoos and parks, these are vanishingly rare events, not something that happens more than every two years. 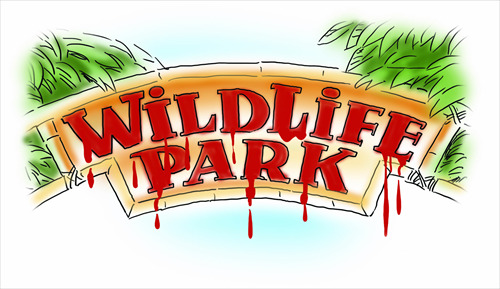 Chinese wildlife facilities are often poorly run, unfortunately. I remember visiting a tiger park in Harbin some years ago, and being depressed at seeing the big cats thrown chickens for the amusement of tourists, while sleeping in grim concrete boxes. The whole thing looked like an industrial park in which somebody had stuck a hundred tigers, not a facility designed to replicate their natural environment or make them feel at home. Every visitor has horror stories about some Chinese zoos, especially in the provinces: gorillas kept in cages too small for them, birds with moulting feathers, beasts brought for their tourist value without any consideration of the climate they'll be living in. They can be grim and depressing places to visit, although some progress has been made in recent years, after animal rights protestors began to push zoo managers to make a home for the animals. Yet the real question here may be whether these parks should exist at all. There's no obligation for people to be able to gawp at big cats. The work of animal preservation is important; there are estimates that there may be as few as seven wild tigers left in China. But there's no need to put the beasts on display, especially in an unsafe environment. The ultimate goal of modern zoo work is widely agreed to be preservation, education, and ultimately returning animals to the wild. But Chinese facilities, while leading the way on some animals, such as pandas, have done almost no work on reintroducing tigers to their natural environment. Instead they're stuck on display for tourists, with almost no educational purpose, just objects for visitors to gawp at. The argument is sometimes made that the money from visitors is needed to fund serious animal work. But if that work's not being done, where is the money going? The authorities need to look into not only this death, but the purpose of the parks as a whole.